Once you have our world-class nutrition system installed in your business, you need a marketing system and a brand that magnetically attracts new clients. Testimonials and referrals will follow, but there’s a more important step you need to take first. You can offer the greatest coaching in the world, but you’ll never survive if you don’t know how to market and sell your program. Is that a harsh truth? I used to think so…until my friend and mentor Bedros Keuilian showed me that selling and marketing can be easy, fun, and mostly automatic. Most trainers and coaches want to focus only on coaching, because that’s the part they love most. Most trainers, even excellent trainers, end up stuck in dead-end, low paying corporate jobs, or they struggle to keep the lights on in their own gyms. Now…can you see what’s missing here? What if marketing and selling was part of your personal mission? What if it came to you just as naturally as coaching does? The key here is learning the RIGHT way to market and sell. No high-pressure sales tactics, no sleazy tricks—you need an elegant system that educates your community and makes them WANT to give you money in return for the life-changing service you deliver. That way you could build your fitness empire, help way more clients, and earn the millions you deserve. That’s exactly what I’m going to teach you in this course. 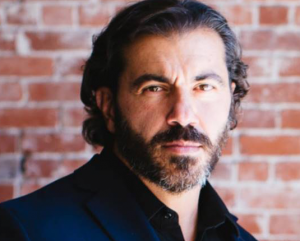 Bedros Keuilian is hands-down the most knowledge fitness entrepreneur and business coach in our space. He’s the founder of Fit Body Boot Camp and the creator of multiple, popular tools, courses, and coaching groups for fitness professionals, including FitPro Newsletter, Close Clients, and the 7 Figure Formula Mastermind. Bedros’ fitness business empire generates 8 figures annually…and it all started with him as a one-on-one personal trainer working at a corporate box gym. Wherever you are currently in your fitness business, Bedros has literally walked the exact same path and can tell you precisely where you need to go next to grow your business by 10X. Most importantly, Bedros genuinely cares about each of his clients, which is exactly what we preach at NCI. I know, because I personally have had Bedros as my business coach and he’s been a crucial mentor in launching my own massively successful fitness brand. How to Develop Your Unique Selling Proposition (USP)—With the power of NCI coaching, you can offer truly unique results…but until you craft the right message, those results will get lost in the noise. Discover how to craft a laser-targeted sales message that compels your prospects and leads to buy now. How to Build the BIG 3 Social Media Platforms (Facebook, YouTube, IG)—Facebook, YouTube, and Instagram are statistically proven to give you the most leads per dollar, especially in fitness. With our simple formula, you can start growing your platform on each of these three and start attracting new clients almost immediately. clients even while you sleep. for serious entrepreneurs and coaches. clients are each separate steps in the funnel. To turn followers into paying clients, you need a system to carry them seamlessly through each step. For the first step, we’ll show you how to carve out a huge chunk of leads with the “low hanging fruit” technique. How to Convert Leads into Prospects—They want to work with you, but do you want to work with them? Give yourself permission to be picky. Ironically, when you do this right, it will make your leads desperately crave the opportunity to work with you—even more so than if you left the door wide open. you’ve been missing the proper set up. When you nail down the social media and lead generation systems, selling is a breeze. It’s just a friendly conversation between you and the prospect. Discover the formula for fun, easy, reliable selling right here. In all my previous NCI modules, I’ve talked about how nutrition coaching is the missing link between the trainers and coaches who struggle and the those who can command high prices and steady streams of clients. This is what separates coaches who DO command multiple six-figure incomes from the coaches who could make more money, but never seem to have enough clients. That one thing is marketing systems and business systems and that’s what this certification is going to give you in spades. To make sure each of those things come true, you need to install smart marketing systems. You need to have multiple streams of leads and prospects. Those streams need to be reliable and automated. This is NOT a course about hustle and grind. This is a course about building a business that runs itself so you can focus on what you do best and still have time for your friends and family. The truth is…you cannot reach and maintain a six-figure income on hustle and grind. You need systems in place to build your empire even while you sleep. And frankly, you owe it to your clients and your community to build the biggest empire you can. Because if you don’t, that means there are hundreds and even thousands of people who will keep on living in misery and poor health. This is your invitation to embrace the business side of fitness, deliver an even greater service to your clients, and explode your personal income. Like with every NCI module, I’m limiting seats to 100 total because I want to make sure you get the attention you deserve. If you don’t sign up now and secure your seat, it might not be there for you later. I’ve had hundreds of fitness professionals begging for my coaching since before NCI existed. Plus, Bedros is extremely sought-after as a business coach—to the point where just a half day of coaching with him costs $25,000. That means this next meeting will fill up fast! 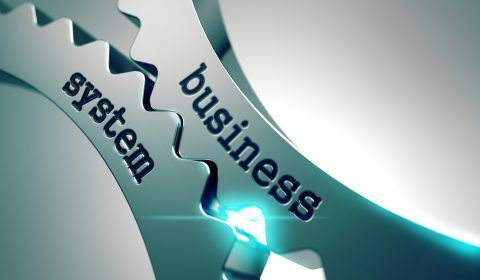 Click the button below to sign up for the NCI Business Systems!